A Customer Type is a group defined to apply different pricing levels to different types of customers. For example, a customer who purchases at a wholesale price rate can be a Wholesale Customer Type. 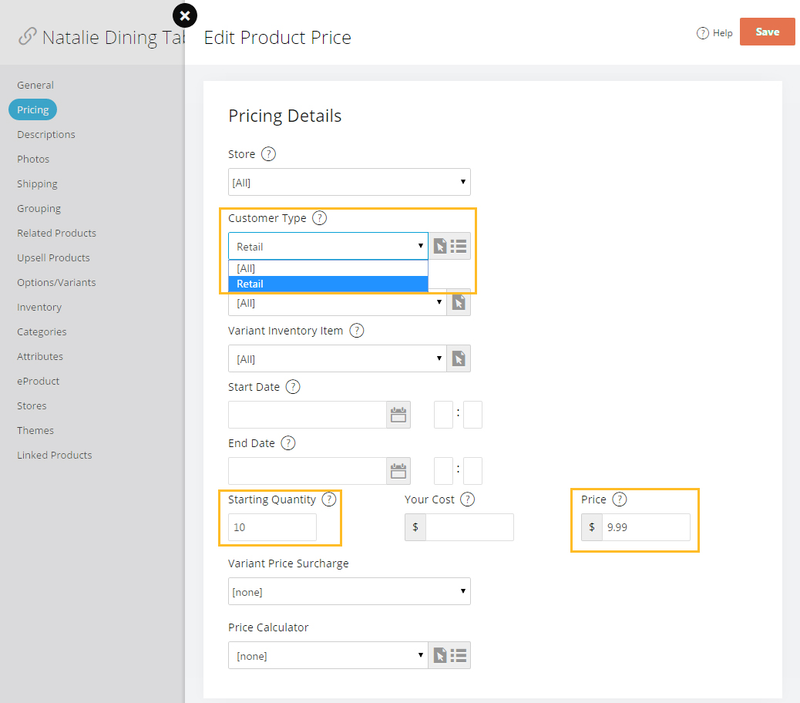 Once the customer type logs into the site, their pricing will show throughout the site instead of the normal pricing. To create a new Customer Type, click Settings > People > Customer Types. Click New in the upper right hand corner, then enter the details for the Customer Type and click save. 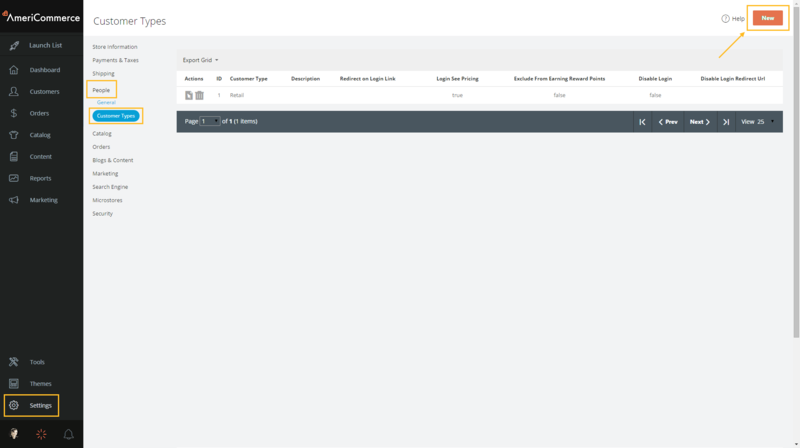 To assign customer type, create a new customer and assign the customer type. Or search for existing customers and edit the ones you want. Remember to click Save after you have made the necessary changes. On the Pricing tab in the Product Editor click "New Price". 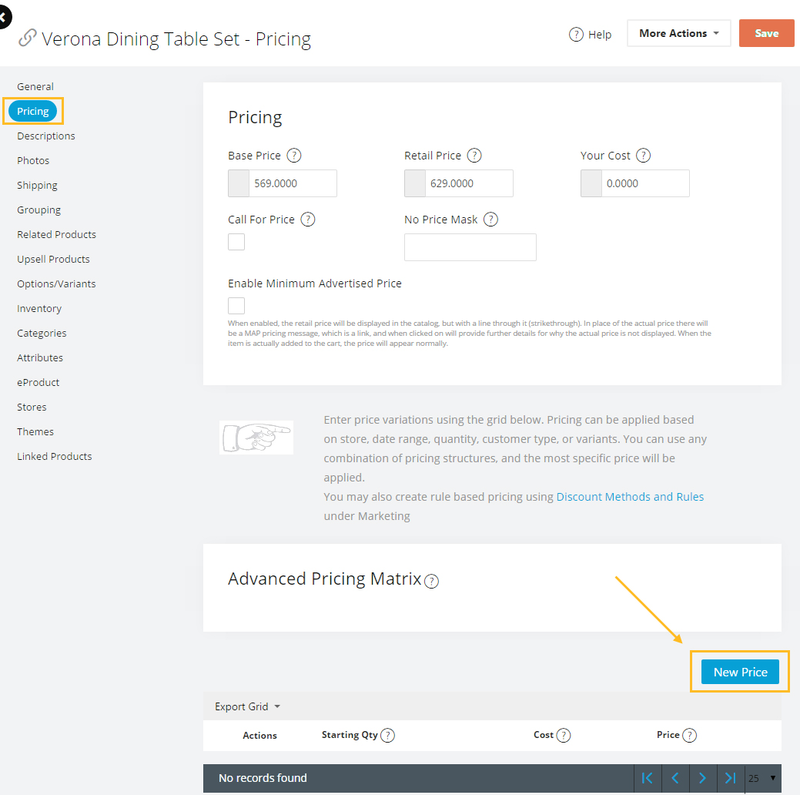 Select the Customer Type and enter the pricing details.